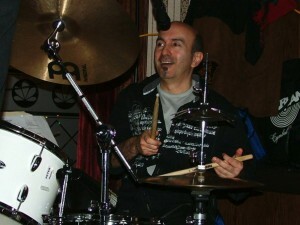 Peter is a fabulous drummer and is the first call for many bands. Even though he is a very busy guy, he always seems to find time to join us for a night of fun (I think we are his fav :)). He always has a smile on his face and is a pleasure to listen to. It is worth coming to our gigs just to see Peter.